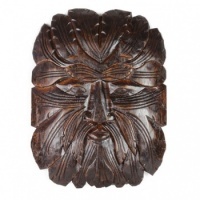 Throughout the world and from the early days of man, masks have featured and been important in every culture and religion. 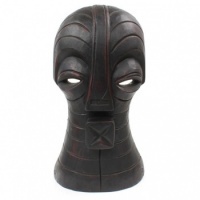 Masks were used for rituals and ceremonies to associate the wearer with a higher being or animal character and more recently have become decorative. 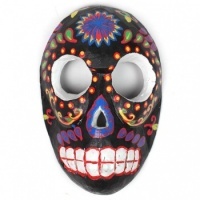 We stock a number of masks but have found some Day of Day of the Dead masks which are both colourful, decorative and a little bit scary! It is has been a practice to keep the day of the dead mask as trophies and display them during rituals to symbolize death and rebirth. 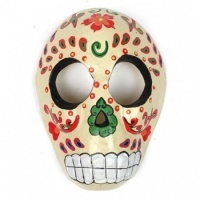 Today, people don wooden day of the dead mask called calacas and dance in honor of their deceased relatives. The day of the dead mask also are placed on altars that are dedicated to the dead. 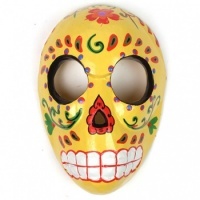 Sugar skulls, made with the names of the dead person on the forehead, are eaten by a relative or friend.